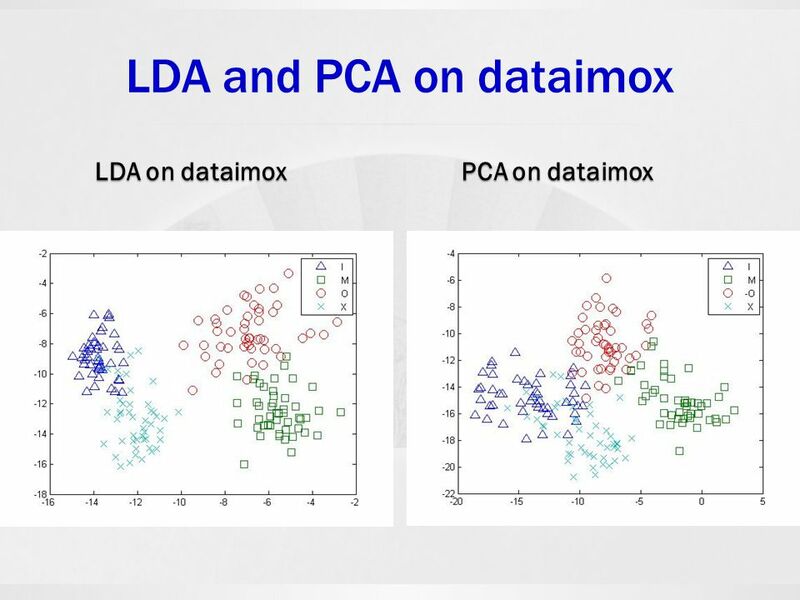 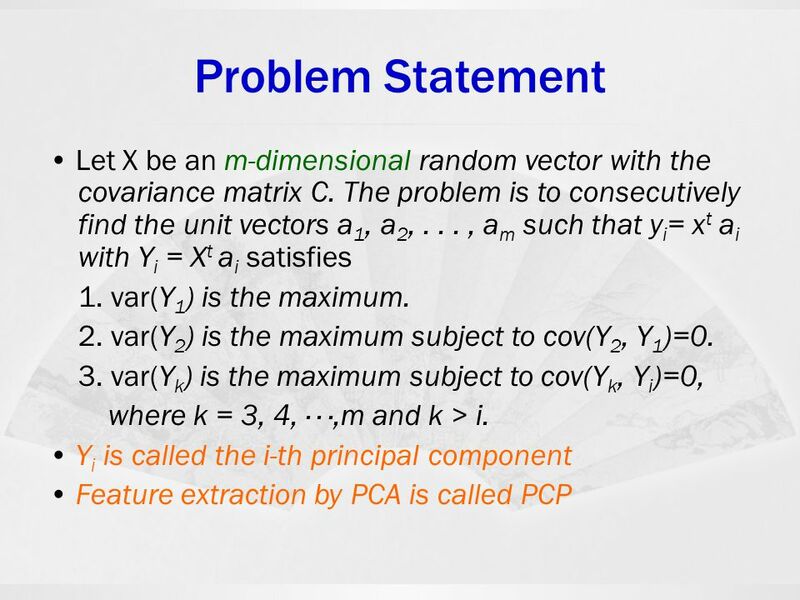 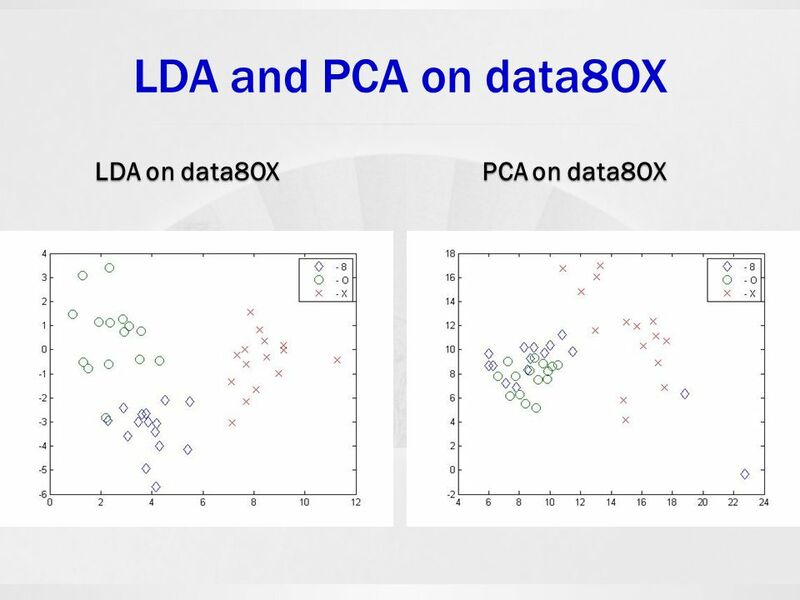 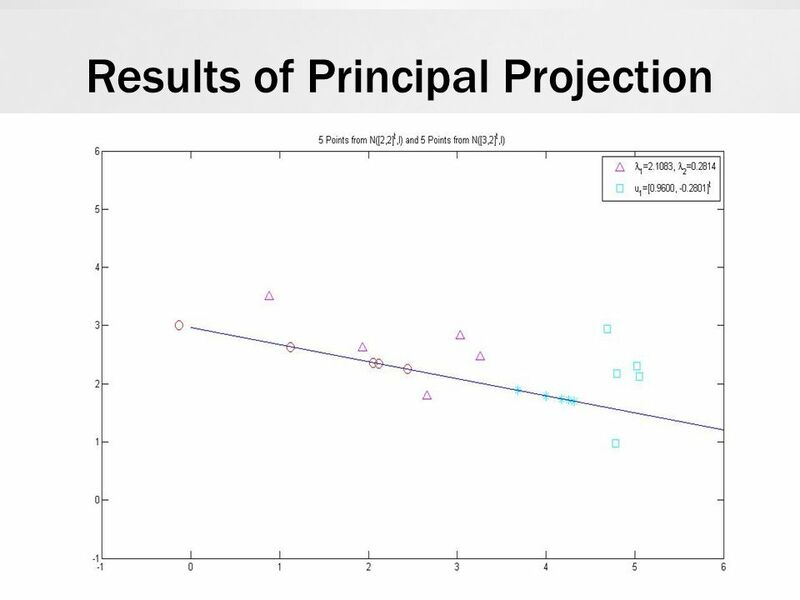 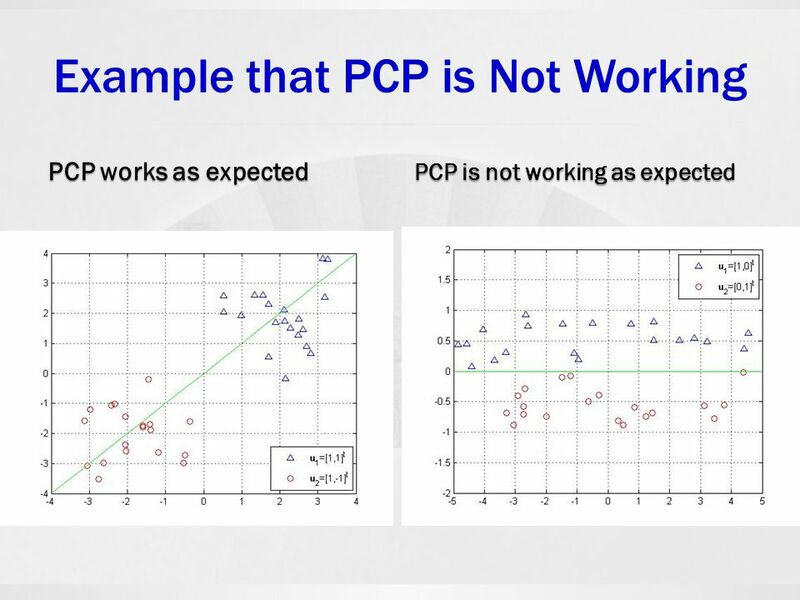 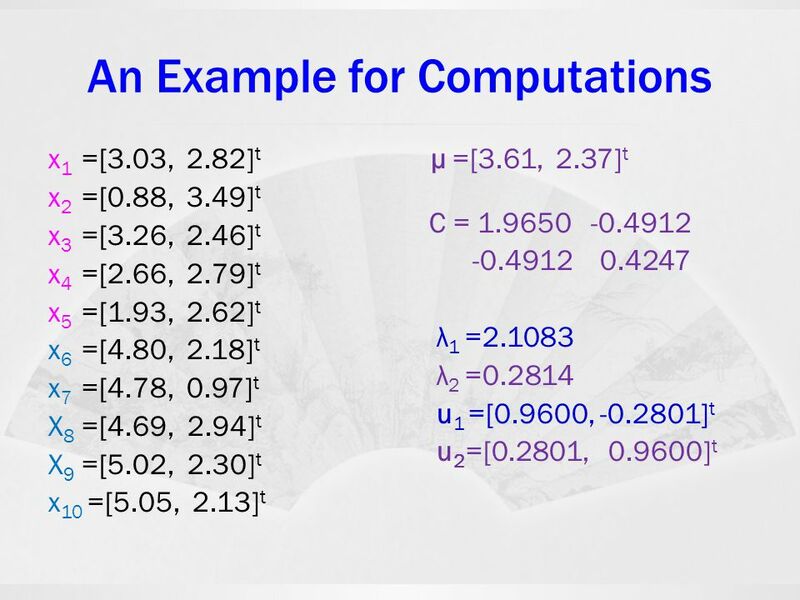 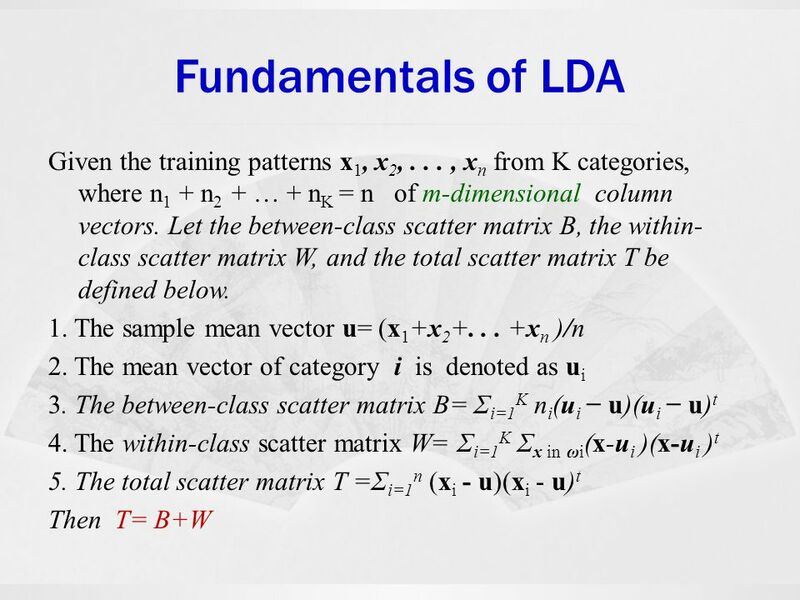 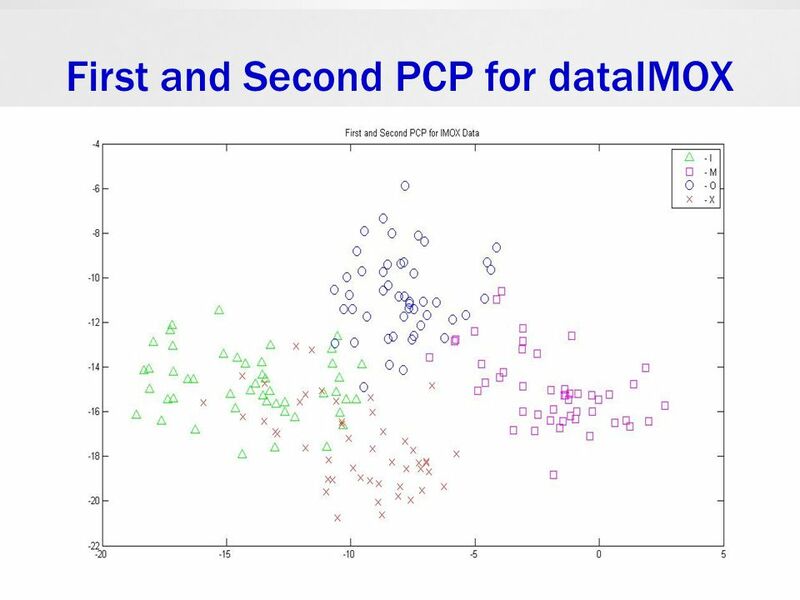 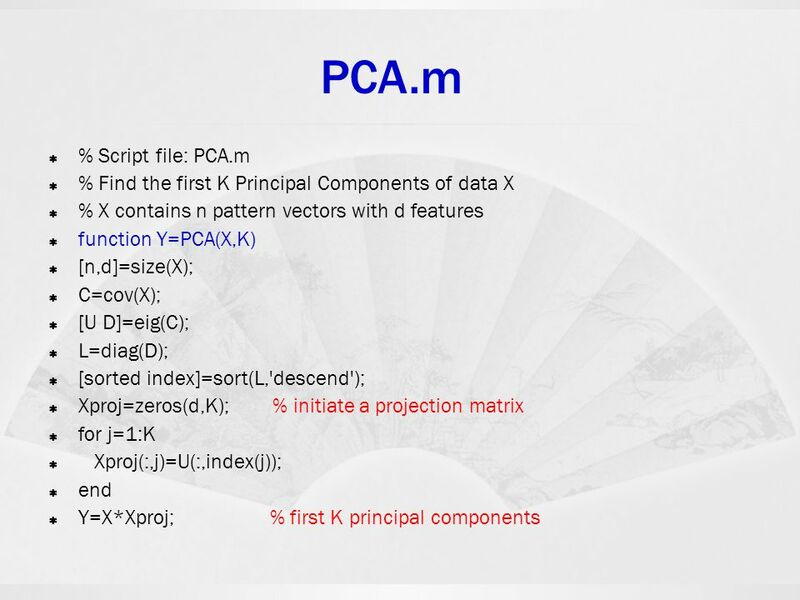 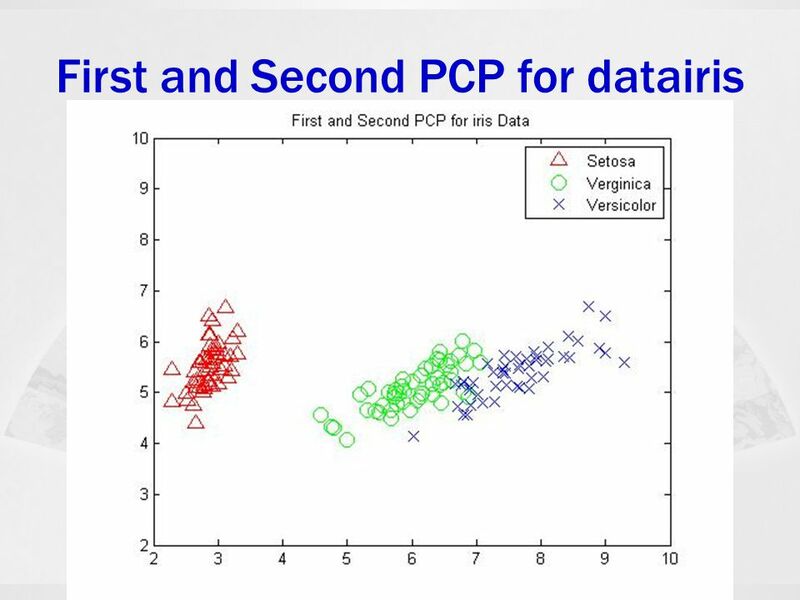 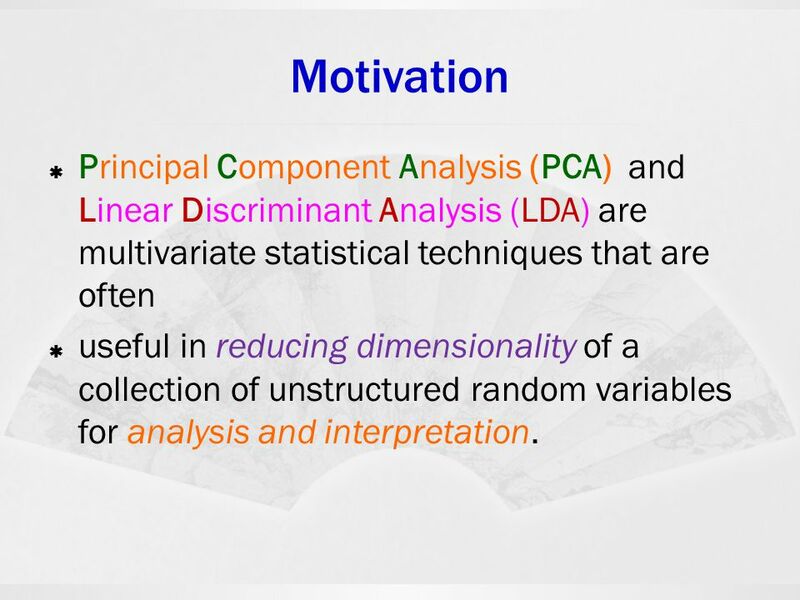 3 Motivation Principal Component Analysis (PCA) and Linear Discriminant Analysis (LDA) are multivariate statistical techniques that are often useful in reducing dimensionality of a collection of unstructured random variables for analysis and interpretation. 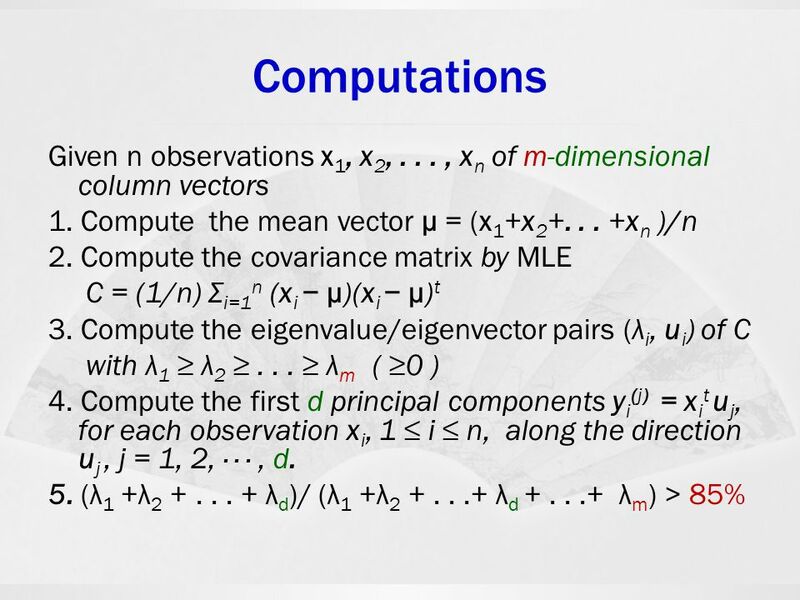 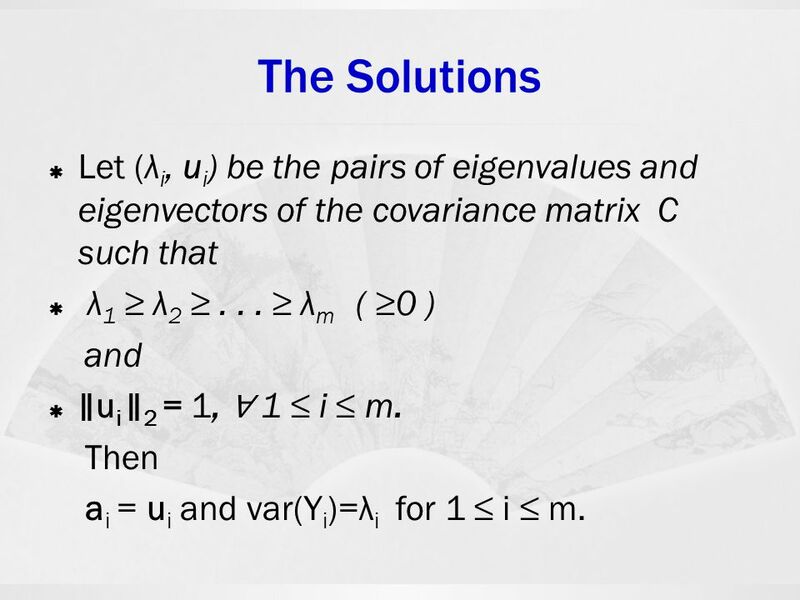 5 The Solutions Let (λi, ui) be the pairs of eigenvalues and eigenvectors of the covariance matrix C such that λ1 ≥ λ2 ≥ ≥ λm ( ≥0 ) and ∥ui ∥2 = 1, ∀ 1 ≤ i ≤ m. Then ai = ui and var(Yi)=λi for 1 ≤ i ≤ m.
8: [11, 3, 2, 3, 10, 3, 2, 4] The 8OX data set is derived from the Munson’s hand printed Fortran character set. 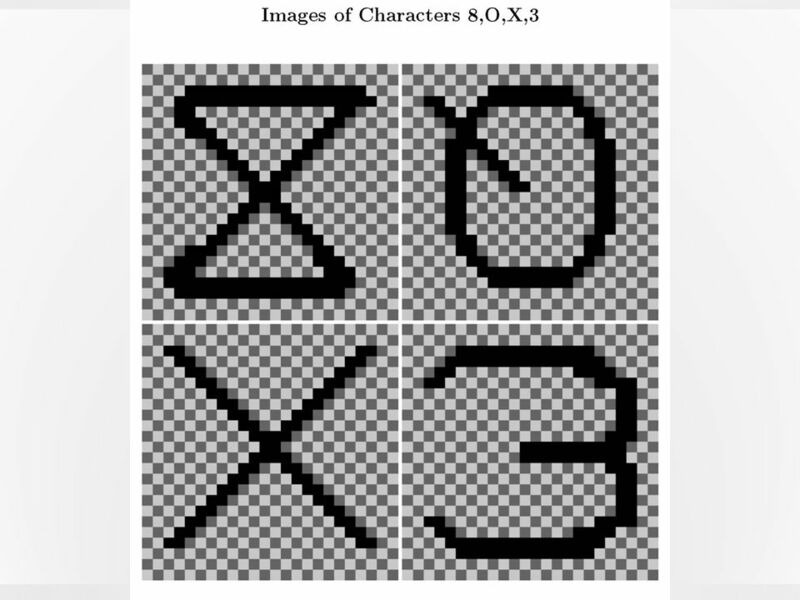 Included are 15 patterns from each of the characters ‘8’, ‘O’, ‘X’. 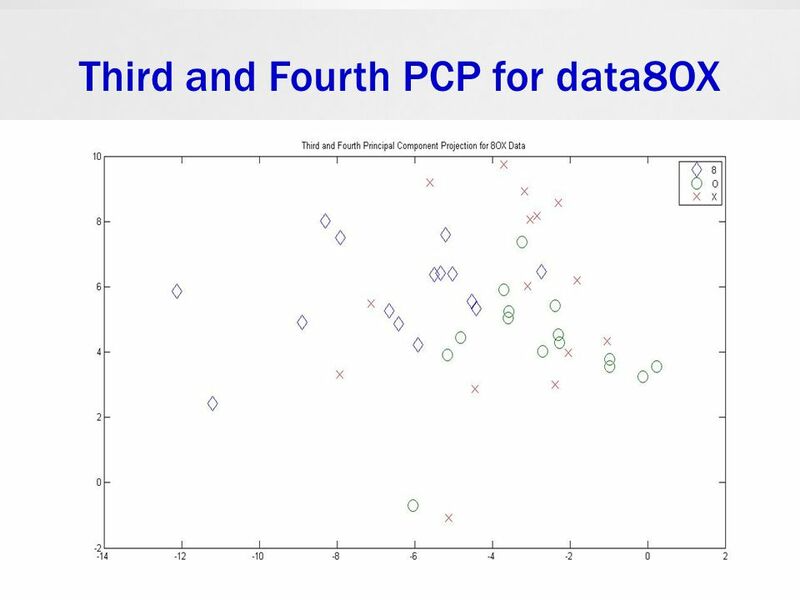 Each pattern consists of 8 feature measurements. 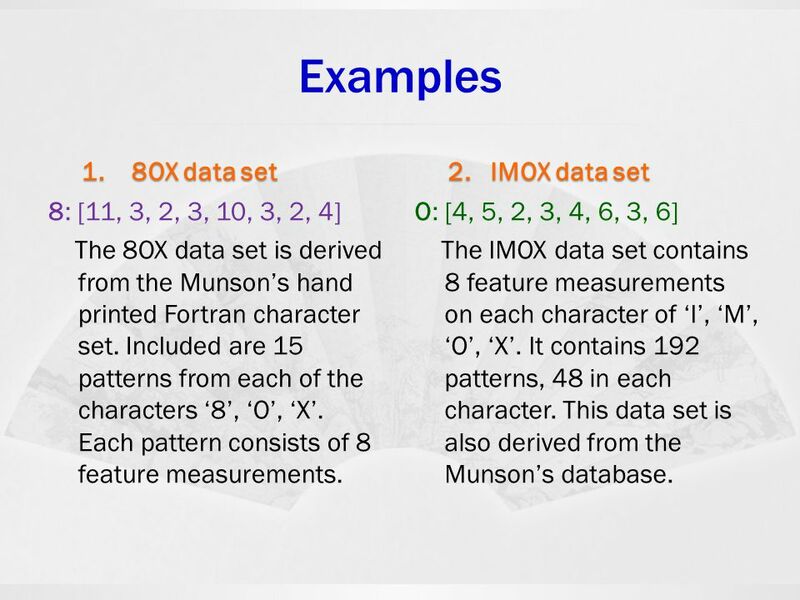 O: [4, 5, 2, 3, 4, 6, 3, 6] The IMOX data set contains 8 feature measurements on each character of ‘I’, ‘M’, ‘O’, ‘X’. 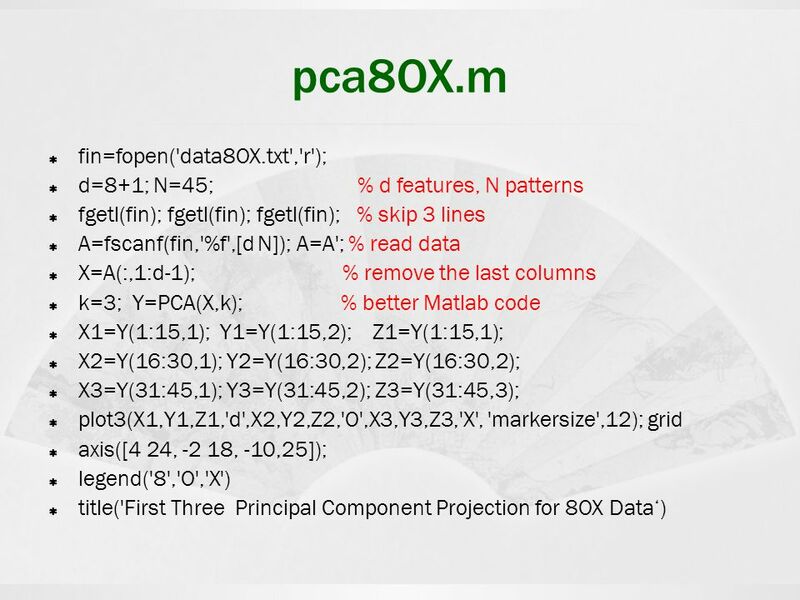 It contains 192 patterns, 48 in each character. 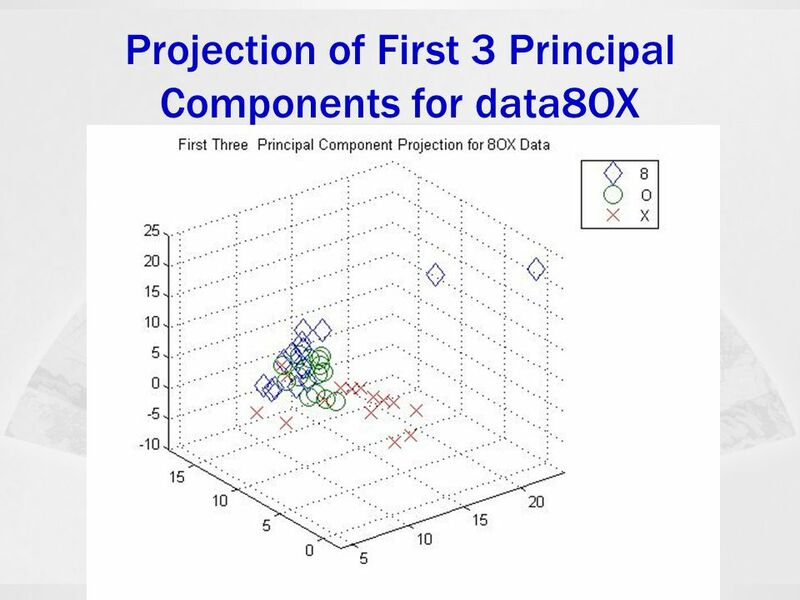 This data set is also derived from the Munson’s database. 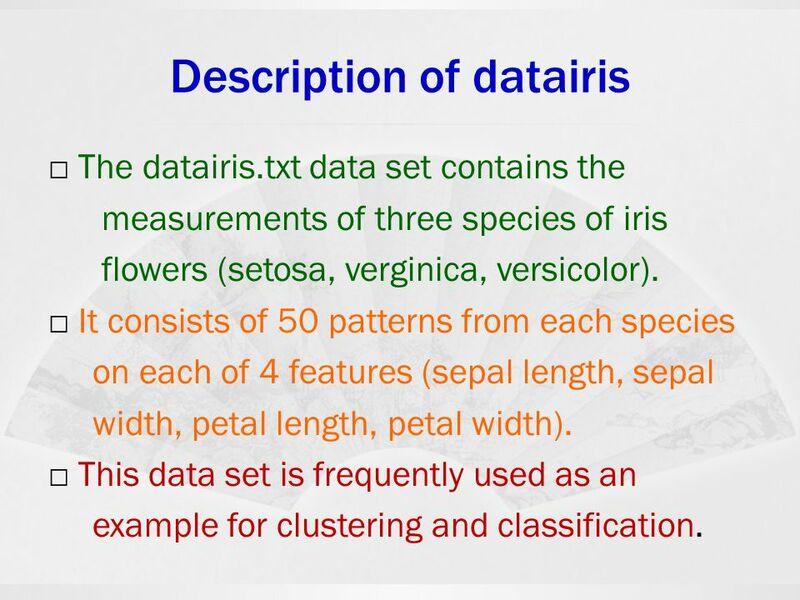 □ The datairis.txt data set contains the measurements of three species of iris flowers (setosa, verginica, versicolor). 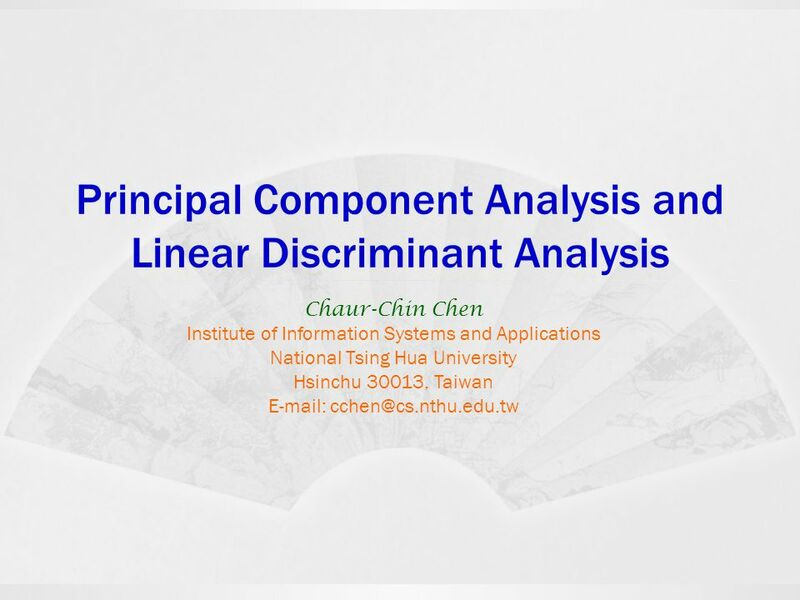 □ It consists of 50 patterns from each species on each of 4 features (sepal length, sepal width, petal length, petal width). 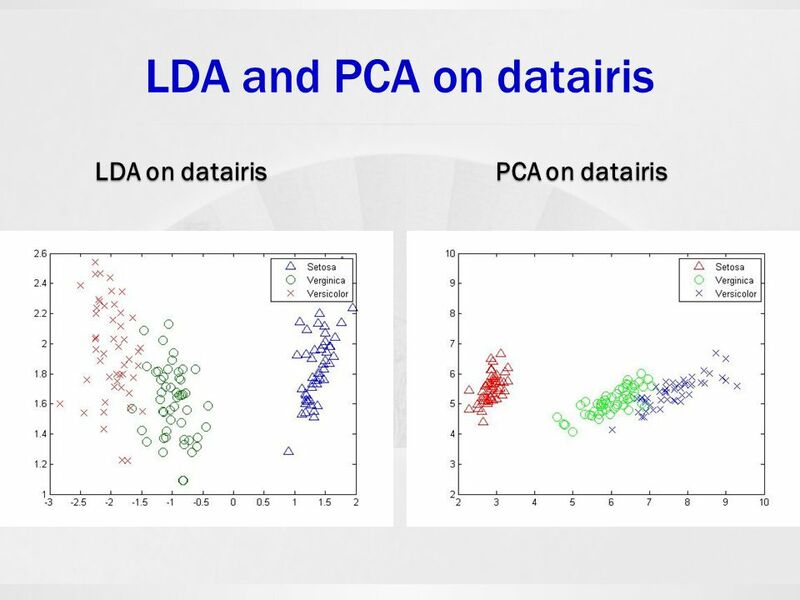 □ This data set is frequently used as an example for clustering and classification. 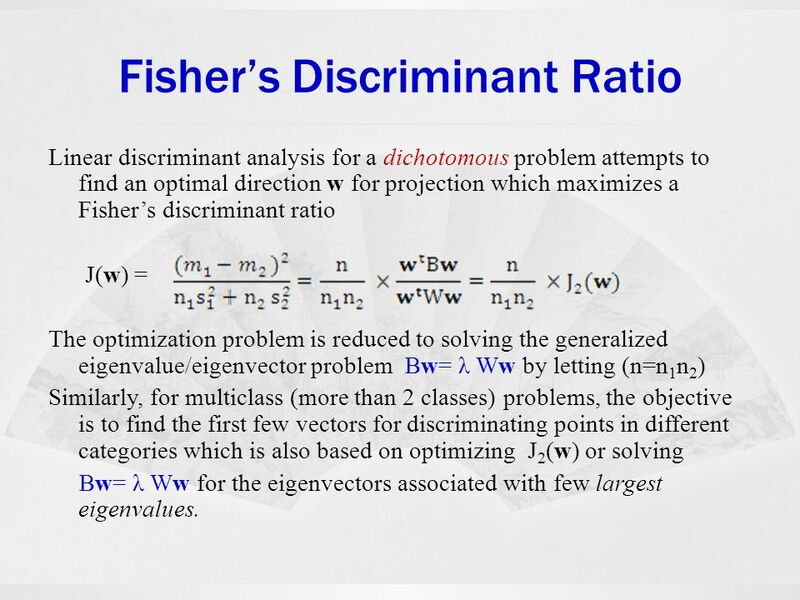 Linear discriminant analysis for a dichotomous problem attempts to find an optimal direction w for projection which maximizes a Fisher’s discriminant ratio J(w) = The optimization problem is reduced to solving the generalized eigenvalue/eigenvector problem Bw= λ Ww by letting (n=n1n2) Similarly, for multiclass (more than 2 classes) problems, the objective is to find the first few vectors for discriminating points in different categories which is also based on optimizing J2(w) or solving Bw= λ Ww for the eigenvectors associated with few largest eigenvalues. 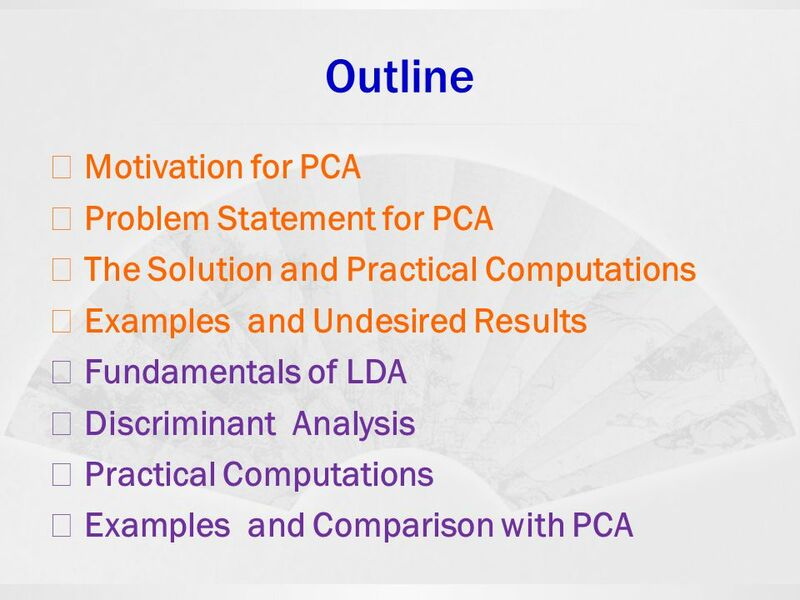 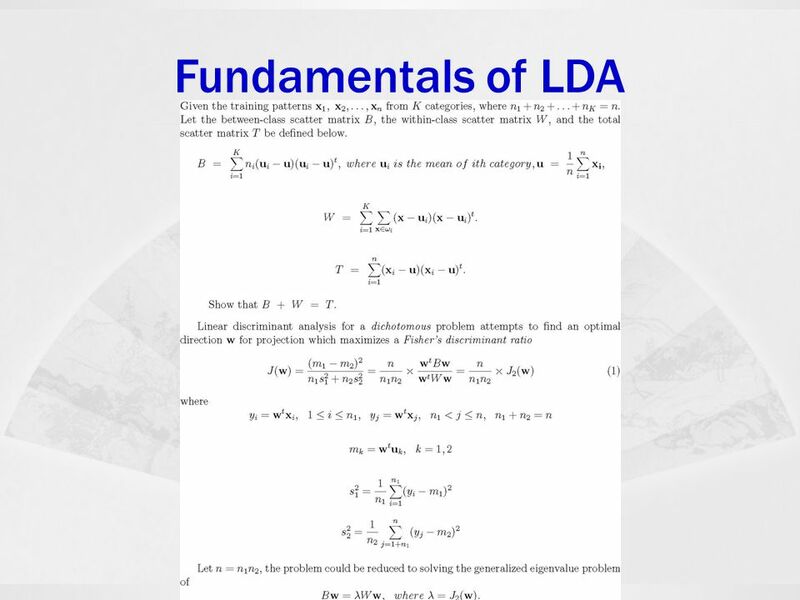 Download ppt "Principal Component Analysis and Linear Discriminant Analysis"
úkol 1 63 + 12 + 2 = A 77 B 72 C 67 D 79 63 + 12 + 2 = A 77 B 72 C 67 D 79.